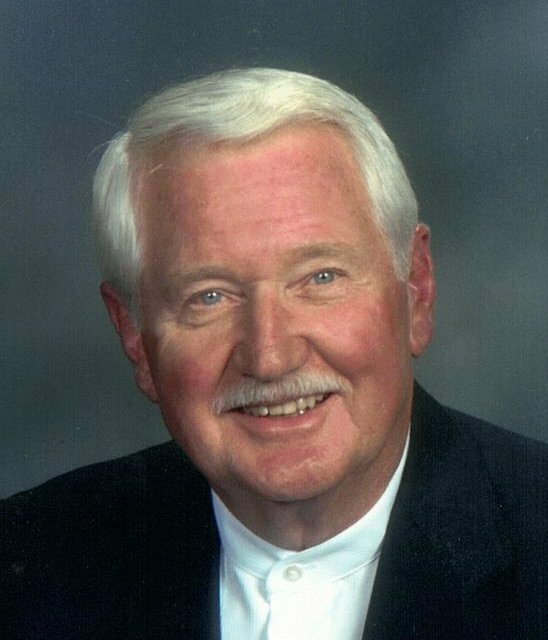 Obituary for Robert "Bob" Preston Gainer Sr. | Campfield Hickman Collier Funeral Home, Inc.
Robert "Bob" Preston Gainer Sr.
Robert “Bob” Preston Gainer Sr., 85, passed away peacefully on Sunday, February 10, 2019 with his family by his side. He suffered with dementia for the past few years.He was born to Betty and Vernon Gainer on January 15, 1934 in Joker, W.Va. The family moved to the Norton, Barberton area in 1939.Bob, a Barber for 56 years - spent 52 of those years at the Norton Plaza where he owned and operated Gainer’s Barber Shop. His day began with coffee at McDonald’s then lunch at Sweet Henrie’s. He enjoyed the conversations with his loyal customers, and in some families cut three generations of hair. For over 30 years his shop sponsored Norton Little League teams. An avid golfer who belonged to many leagues over the years; if he wasn’t at the barber shop, he could be found on the golf course! A proud Marine Corps. Veteran, he helped organize and attended its yearly November 10th birthday party where local Marine veterans gathered. Semper Fi.Bob was a member of Zion Evangelical Lutheran Church in Doylestown where his served on its church council for many years. He was a member of National Lodge 568 F&AM and 32 Degree Scottish Rite Valley of Akron, President of the Norton Merchants’ Association for 22 years, and a past president of the Norton Alumni Association.A 1953 Norton High School graduate, he valued the friendships kept with classmates over these 65 years and especially enjoyed the monthly “Lunch-Bunch” gatherings with the men; the couples’ yearly Christmas Party at the Gandee’s and the summer fish fry’s at the Culp’s. Good times; good friends.Some of our fondest memories of Bob are him flipping burgers on the grill at our annual Gainer July 4th picnic (the only time he ever cooked) and seeing the delighted faces on the little nieces, nephews, grandchildren when he appeared as Santa Claus of Christmas Eve.Bob and Edna met on a blind date arranged by his sister. It was love at first sight and their marriage last for over 57 years. His heart was broken twice with the death of daughter Karen in 1988 and daughter Susan in 2016-both from brain tumors. Parents should never have to bury their children, he said so many times.The family would like to thank Pleasant View and Rose Lane Nursing Homes and Crossroads Hospice for the wonderful care they gave Bob.Preceded by his parents; daughters, Karen and Susan and sister, Kathryn; he is survived by his wife, Edna; son, Robert “Bob” P. Jr. and daughter-in-law, Dawn, the grandchildren he loved so much, Rachel and Grant; brothers, Everett “Bill” and James (Janice); along with many loved nieces, nephews, other relatives and many friends.A memorial service will be held Friday, February 15th at 11 a.m. at Zion Lutheran Church, 65 W. Clinton St., Doylestown, Ohio 44230 with Pastor Chris Bartholomew officiating. Bob’s family will receive friends on Thursday, February 14th from 4 to 7 p.m. at the Campfield-Hickman-Collier Funeral Home, 566 W. Park Ave., Barberton 44203. Bob will be laid to rest by his daughters at Chestnut Hill Cemetery.In lieu of flowers, memorials may be made to the Norton Alumni Association, P.O. Box 1333, Norton, Ohio 44203 for scholarships.